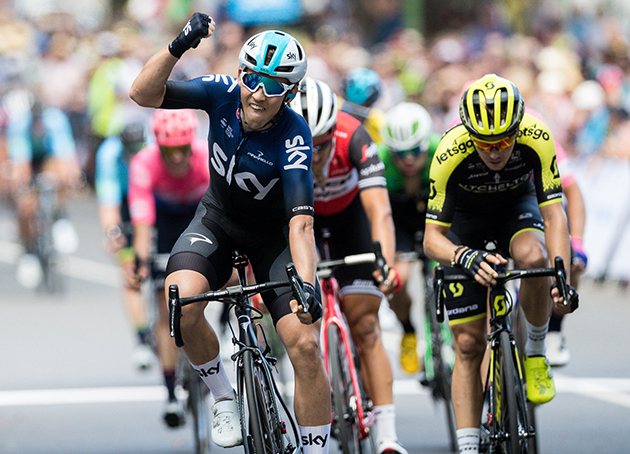 Protected by his Team Sky teammates throughout 21 laps around the Melbourne Royal Botanical Gardens, Van Baarle played a key role in the final lead-out, dragging Halvorsen and final man Owain Doull into position heading into the final kilometre. The win perfectly capped off a dominant week for Team Sky, with Van Baarle making sure of a 24-second race win – the Dutchman’s first overall stage race victory since the 2014 Tour of Britain. Team Sky set the pace for much of the final stage, keeping the day’s breakaway in check. Kenny Elissonde got through a lot of work and was rewarded with seventh place overall. One place further back, Pavel Sivakov cemented another top-10 finish, and with it the young riders’ jersey. With Team Sky also taking the team prize and Christian Knees winning the climbs classification, it represented a superb group performance and a great end to our time Down Under. Kristoffer Halvorsen takes the final stage. “I’m really happy I could win here. I have to thank the whole team. They did a really really good job today and also with Kristoffer winning the stage it’s incredible. It’s been a great trip down to Australia and I’m happy it finished off this way. “It was really good to get the win. We’ve got a strong team here and today they showed how strong they are. It’s just unbelievable. We weren’t worried about the break because we have guys like Luke and Kneesy in the team. They know exactly what to do and they are really strong. Luke knows everything. You just need to follow him and you know you are in the best place in the peloton at the right time. 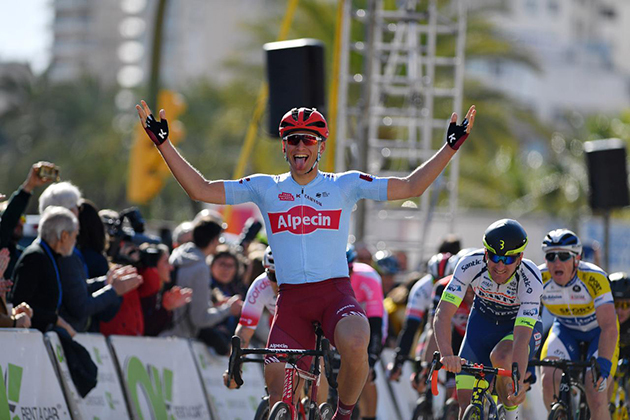 Today’s final race in Mallorca was finally one for the sprinters in the peloton. Even a group of four riders did breakaway early, it was never in doubt that today would come down to a sprint royal. Already with 40k to go the break was caught. The final laps in Palma saw some excitement when another trio tried to fool the fast men with a last attempt. They were able to hang on a 20 second lead until the last 5 kilometers. But when the lead-out trains were at full speed, also this break did come to an end soon. BORA – hansgrohe was working for Rudi Selig on the last 15 kilometers. The team found a good position at the head of the bunch, delivering a strong effort to put Rudi behind M. Kittel on the last 1000m. But when Kittel accelerated, several riders tried to catch his wheel which unfortunately blocked Rudi’s way to the line. He took sixth place in the end, while Kittel proved to be the fastest today. Marcel Kittel was the day's fastest rider. 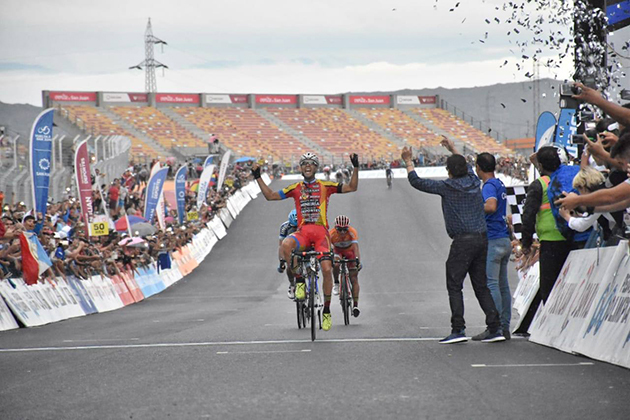 It was Nicolas Tivani who took stage six.